A modern in style in Belgrano. This modern apartment is perfect for executives, students or couples looking for a good quality apartment in the Belgrano or the straws. 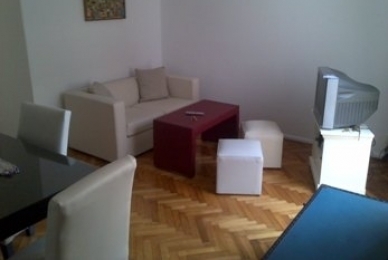 The apartment has all the amenities, and will make your stay in Buenos Aires a pleasant time. In the living room is a table with four chairs, a sofa and against cable television: everything you need to unwind after a long day. The kitchen has all the utensils to prepare good dishes. The bedroom, which has two single beds or converted into a double bed. The building has no ascesor, the apartment is two flights of stairs. Area: The apartment is very well located in the Belgrano neighborhood near the straws: one of the quietest residential areas of Buenos Aires. This close to the racecourse and golf course. Many groups and the line D subway can take you quickly to the downtown. Public transport, laundry, restaurant, parking, bank, supermarket, Solar de la Abadía Shopping, universities, Palermo Park, gym, hippodrome. 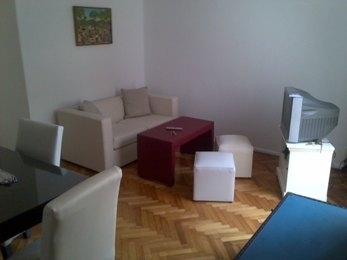 Public transport , Laundry , Square/green area , Restaurants , Parking , Supermarket , Gymnasium , Bank/s , museums. Customer feedback > partment for rent in Belgrano Buenos Aires. 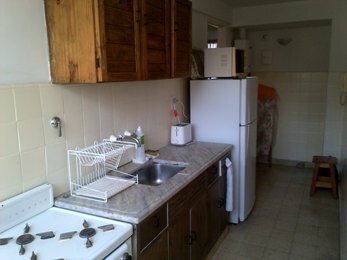 More amenities > partment for rent in Belgrano Buenos Aires.